This week’s Great British Sewing Bee is all about sewing in a slightly smaller scale. If you are a regular reader of my blog you’ll have noticed that much of my sewing is on a small scale! I really must get around to sewing for myself more often! The key to this challenge seemed to be all about the top stitching. Neat top stitching can really set off a seam on a garment, so take it slow and keep those stitches nice and straight. 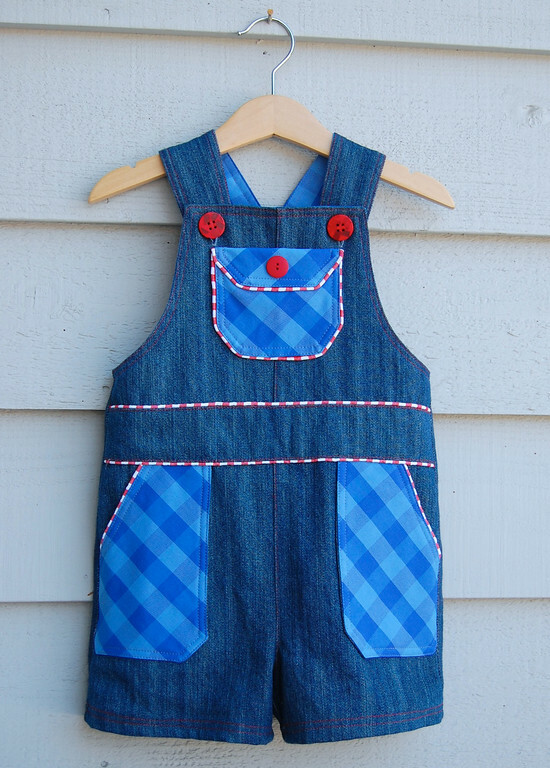 If you are looking for a free tutorial to make some toddler dungarees of your own, try ikatbag. I used a version of the girls adaptation of this tutorial to make the dungaree dress that won me the competition for Crafty magazine at the start of the year – did you see my applique fox pocket? What a fun challenge! 90 minutes though, that’s some serious sewing and creative thinking on the hop! Inserting (plastic!) bone into the bodice of a dress. Sounds daunting doesn’t it? I’ve done it once many years ago and you know what, it wasn’t that tricky. Some great links this week. I got thoroughly distracted! I’ve just posted a week 4 recap on Random Crafting Adventures. 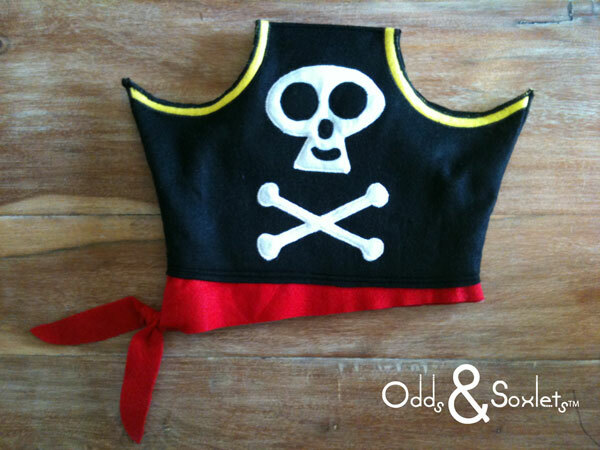 Thank you so much for sharing my pirate hat tutorial, I can see lots of little pirates running around this spring and summer! 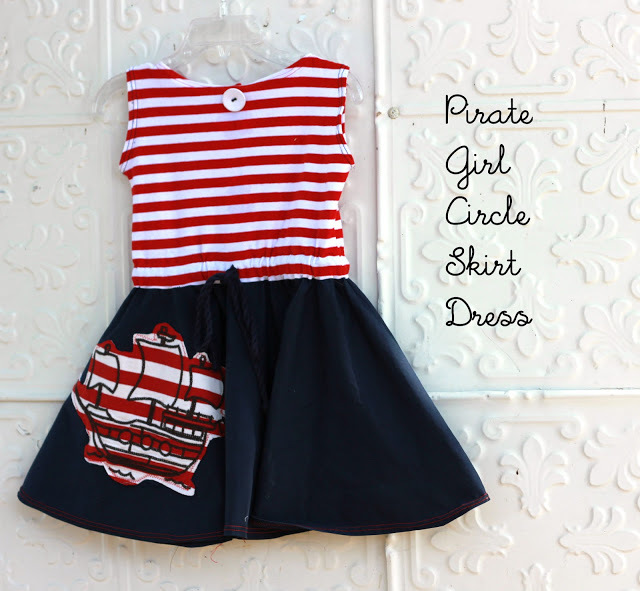 No problem, my girls love pirates and love watching swashbuckle! Your hat pattern is great, I hope you get lots of people coming your way! 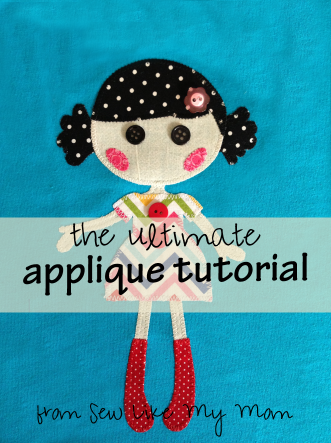 Well, thanks for including my cape tutorial! It’s so easy… I hope your readers love it! Have a great weekend!